The flat has three rooms with 5 beds, a kitchen, a bathroom and garage and is located in an old and elegant building . It is elegantly furnished with ancient furniture in a quiet and confortable ambience . On the ground floor there is a studio completely independent, with a kitchenette and all kitchen facilities; elegantly furnished to sleep three . 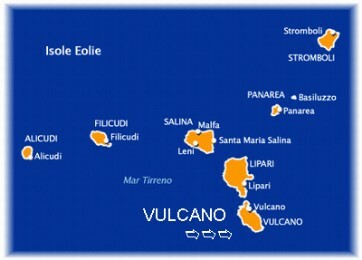 In the beautiful island of Vulcano (Aeolian islands - Sicily) We rent apartment in an exclusive and elegant residence . This apartment is ideal for 2 people or a family of 4 persons. The minimum stay is one week and the cost is 35.00 Euros per person per day in July and 45.00 Euros per day in August. In June and September, the cost is 30.00 Euros per day. In May and October, the cost is 25.00 Euros per person per day. Different prices can be agreed for longer periods or for groups of 4 people. Rates include all costs for water, electricity and gas. 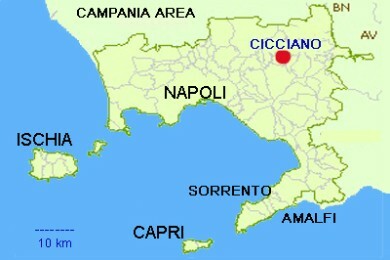 Volcano Island is easily reached from the airports of Reggio Calabria, Catania and Palermo. There are ships from Milazzo, Reggio, Palermo and Naples. Every day, ships between Vulcan and the other Aeolian Islands. The island can easily be visited on foot, by bicycle and by car .